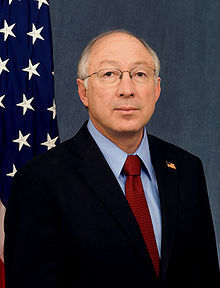 Ken Salazar is the United States Secretary of the Interior. In his position he is in charge of the U.S. Government Department responsible for the management and conservation of most federal land and natural resources, and the administration of programs relating to Native Americans, Alaska Natives, Native Hawaiians, territorial affairs, and to insular areas of the United States. His Department includes the National Park Service. U.S. Interior Secretary Ken Salazar told a popular oyster farm at Drakes Bay on Thursday to pack up and leave, effectively ending more than a century of shellfish harvesting on the picturesque inlet where Europeans first set foot in California. Salazar's decision ends a long-running dispute between the Drakes Bay Oyster Co. and the National Park Service over the estuary at Point Reyes National Seashore where Sir Francis Drake landed more than 400 years ago. The National Park Service intends to turn the 2,700-acre area into the first federally designated marine wilderness area on the West Coast, giving the estuary special protected status as an unaltered ecological region. To do that, Salazar rejected the oyster company's proposal to extend its 40-year lease to harvest shellfish on 1,100 acres of the property. The Obama Administration always talk about how they are 'Pro-Jobs' but they never do anything to show it, unless it happens to be a teacher or Government job. As I have said a number of times before, the Democrats HATE YOUR JOB. This is a perfect example. This decision kills off this business and all of the jobs associated with it. Now Secretary Salazar is claiming that this decision is for the benefit of the collective people of the United States, but lets see if they let us enjoy this 'treasured landscape'. 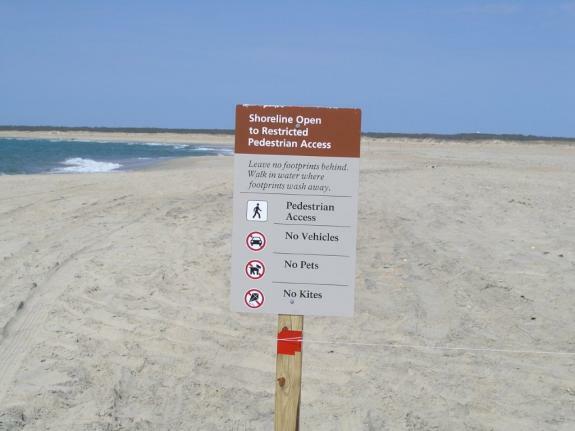 This is the same part of the Government that has been restricting access to beaches for a while now, including the infamous 'Leave No Footprints behind' signs. 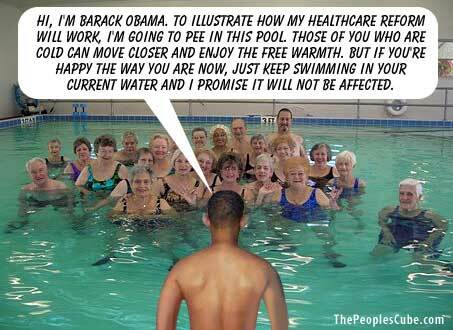 Killing jobs at the beach is becoming a speciality of the Obama Administration. In California, Republican Rep. Devin Nunes says that by eliminating horseback rides to the backcountry, the National Park Service has essentially blocked the only access that many Americans, including those with disabilities and the elderly, have to wilderness areas. The new restrictions are the result of a lawsuit brought by environmentalists who say the activity may be a threat to nature. Losing the permits means that at least 15 companies that provided horseback rides are out of work this summer, along with an estimated 500 employees. If the Democrats could get away with it, they would ban access to these areas entirely in the spirit of protecting the environment. Keep in mind that this is the same part of the US Government that lost a $3+ Billion court case related to mismanagement of revenue due to the American Indian trust funds. As some conservative blogs have been pointing out, what is not sustainable cannot continue forever. That comes out the the US borrowing $160 a day per American (at 300 million Americans) or $640 a day for a family of 4 including weekends. so for each week, the Government is borrowing $4,480. 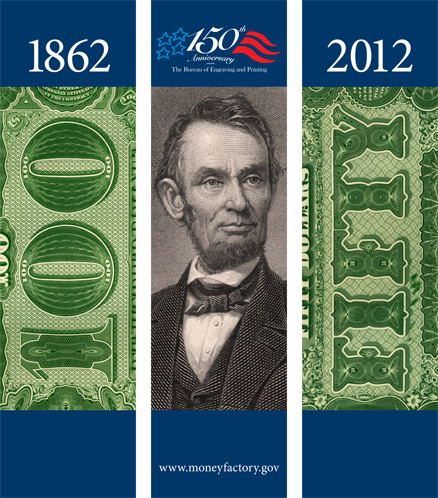 At this rate, the US Government will borrow over $58,000 per American in 2013 which totals over $230,000 for a family of four. Keep in mind, this is not what they plan on spending per American, that total is much great. This is only what they have to borrow because tax revenue is not enough to pay for all their spending. Keep in mind that the US Government's definition of 'Medical Devices' that will be subject to a 2.3% tax on gross sales includes even such generic items such as rubber gloves. Even better, the tax applies to products that are are also used in veterinary medicine. According to the Treasury Department, the medical device companies actually stand to benefit from the law. Though the 2.3 percent tax hits the industry, the department argues that the millions of new health care customers insured as a result of the law will increase the demand in hospitals to order more equipment -- in turn boosting medical device companies' profits. That’s not how the industry sees it. Stephen J. Ubl, president of the Advanced Medical Technology Association, said this week in response to the IRS rules that the tax could cost thousands of jobs – and is already causing companies to lay off workers and cut back on research and development. Sure, you can say that it is only 2.3 percent, but this is out of a maximum of 100%, any more and the business involved is operating at a loss. Out of that 100% revenue total needs to come all of the expenses of the business from raw materials, salaries, manufacturing, research and so on. And lets not forget that if you manage to make a profit, you need to pay taxed before passing those profits to the shareholders, who then pay taxes on this same profit again. As I have said before, President Obama and the Democrats hate your job. This is just one more example where they are doing nothing to protect these jobs or the industry as a whole, which I would dare say is probably a global powerhouse of development and innovation and at the end of the day a source of massive amounts of tax revenue both directly from the corporations as well as from those who back these companies and eventually profit from them. In a letter to Majority Leader Harry Reid, 18 Democrat senators and senators-elect have asked for “a delay in the implementation” of the Obamacare medical device tax. Like most of the significant tax increases in Obamacare, the medical device tax is scheduled to take effect on Jan. 1, 2013, conveniently after the 2012 presidential election. There is one way to delay the tax, delay ObamaCare! Click the link and watch the interview. 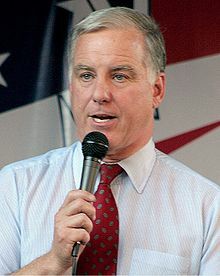 Howard Dean admits that the country would actually be better off if we go over the 'financial cliff' and return to the Clinton era tax rates for everybody, because that is how you really increase Government tax revenue. Increasing taxes on the rich only solves 8% of the deficit problem. President Obama and the Democrats are silent about the other 92% of the solution because they have no intention of solving the problem.